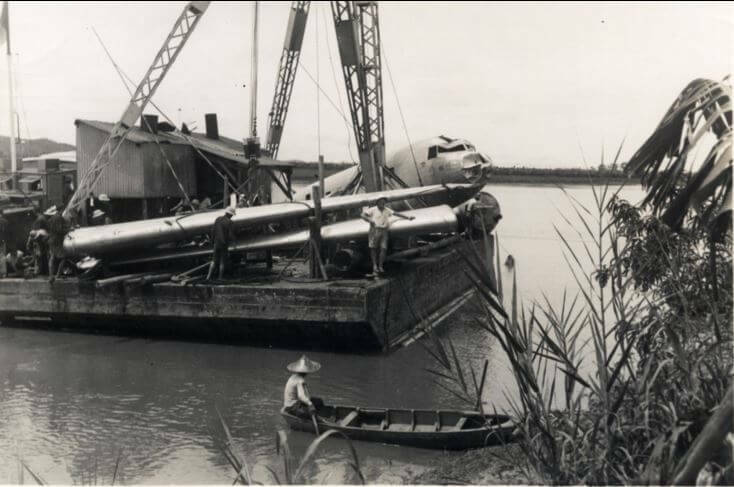 CNAC DC-2 #32, the Kweilin, was machine-gunned and forced down by five Japanese pontoon biplanes on August 24, 1938, shortly after leaving Hong Kong’s Kai Tak Airport. Hugh Woods was at the controls, and only his hot stick flying kept the plane in the air long enough to safely ditch in a river. 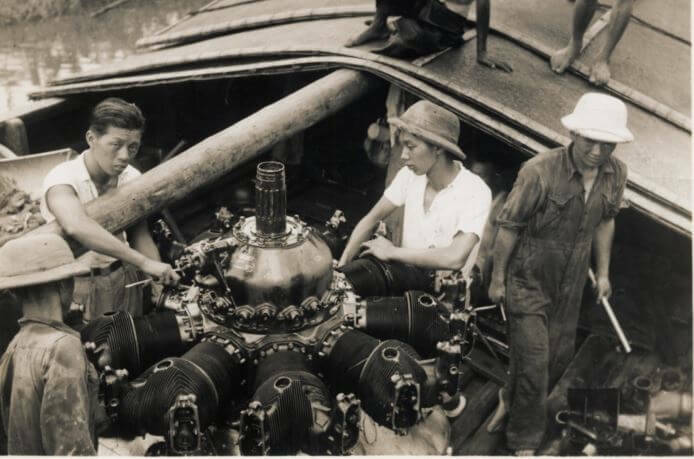 The Japanese seaplanes machine gunned the downed plane for more than an hour, killing two of the crew and 13 passengers. 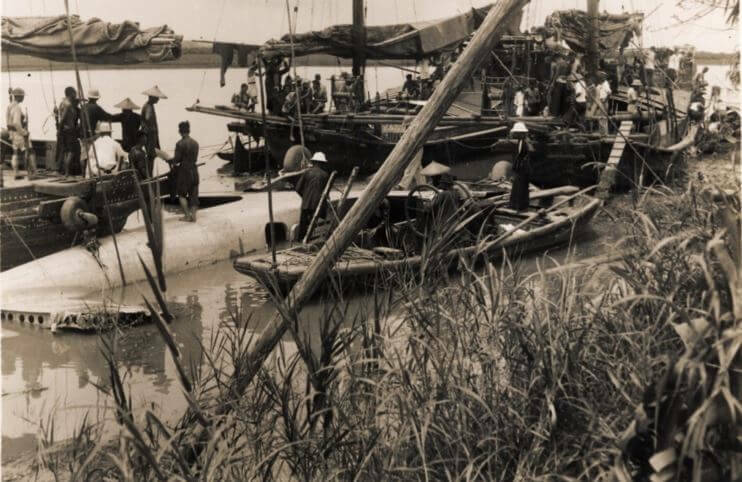 It’s the central incident of chapter 13 of China’s Wings, The Kweilin Incident, and there’s an incident report and a list of the fatalities posted at cnac.org. The plane was salvaged, repaired, refurbished, rechristened and given a new number (#39, the Chungking), and in October, 1940, it became the second CNAC airliner destroyed in-service by hostile air action, at Changyi, outside Kunming. Nine people were killed in the attack, including the pilot, Foxy Kent. There would be no third shootdown for the ill-starred airplane — it burned to slag. This article was first posted on 10th November 2015.